In a classic case of adding insult to injury, workers at the beleaguered Fukushima nuclear power plant have uncovered what appears to be an undetonated bomb dating back to the Second World War. As reported in The Mainichi, a Fukushima excavation worker uncovered the device while performing maintenance work on a parking lot located about a kilometer away from the damaged No. 1 and No. 4 reactors, both of which experienced meltdowns after the devastating earthquake and tsunami in March 2011. The suspected bomb has a stabilizer tail and is cylindrical in shape, measuring about 34 inches (85 cm) in length and 6 inches (15 cm) wide, according to TEPCO, the company responsible for the plant. The worker discovered the device at around 7:30 am local time on August 10. Local police are now trying to figure out if it is indeed a bomb, and how to best dispose of it. The area has been cordoned off, and construction work on the parking lot suspended, but officials say the situation hasn’t affected efforts to decommission the plant. That a bomb may have been discovered near the Fukushima plant isn’t shocking. Fukushima was once home to a Japanese military base, and Fukushima Prefectural Archives document airstrikes in the area around the power plant during the war. American forces dropped thousands of bombs on Japan in WWII, launching aerial attacks from China, the Mariana Islands, Iwo Jima, Okinawa, and other launching points. The US military air campaign culminated in the bombing of Hiroshima and Nagasaki in August 1945, finally ending the war. It’s not uncommon to find unexploded bombs in Japan and elsewhere. Incredibly, thousands of cases like this still need to be handled each year. In 2010, nearly one thousand unexploded munitions of American origin were found in Okinawa, and in 2005 a one-ton bomb forced the evacuation of 7,000 Tokyo residents. 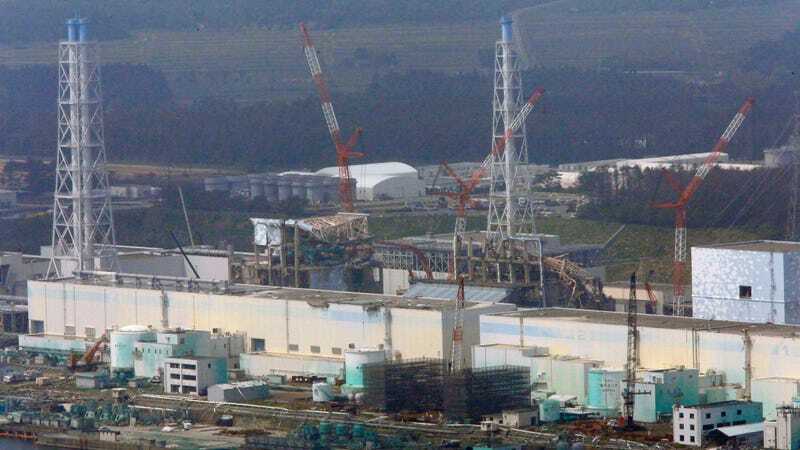 It’s also doubtful that this latest incident will impact decommissioning and clean-up efforts at the Fukushima plant. More troubling is the extensive damage to the interior of the reactors, the intense radiation inside, and the still-volatile melted fuel. It may take decades to finally put this tragic story to rest.